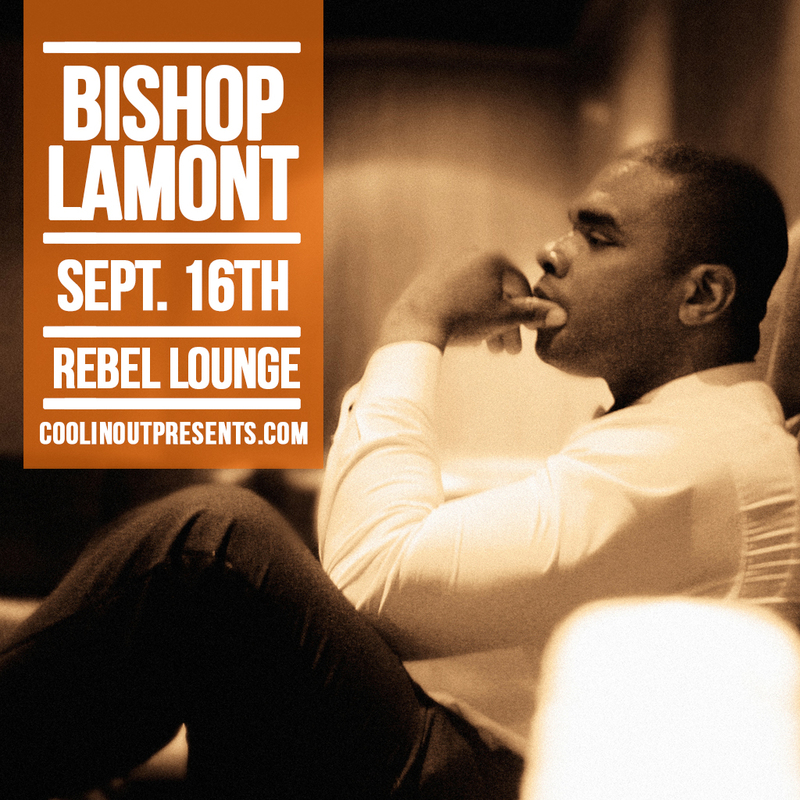 This Saturday night we are bringing Bishop Lamont to Phoenix, AZ. 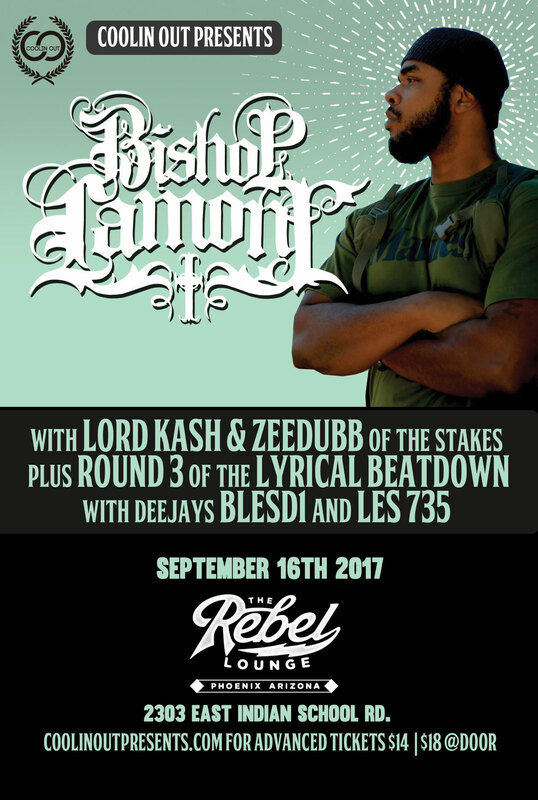 Along with Arizona’s own and first round of Lyrical Beatdown winner Lord Kash with help from ZeeDubb(both from The Stakes). Fated is also performing at this show. With DJs Blesd1 & DMC 2017 Arizona Champion Les735 rocking the tables for us. And holding it down our hosts Nomad Hip Hop. Tickets are still available $14 Presale at CoolinOutPresents.com or in store at Coolin Out 610 E. Roosevelt #136 Phoenix AZ 85004 or at Crates Records and Gear 8841 N Central, Sunnyslope, Arizona 85020. Or pay $18 at door at Rebel Lounge 2303 E. Indian School Rd. Phoenix AZ.